Rob Kaye was born and raised in the town of Jasper, Alberta, in Jasper National Park. Fascinated with nature and entranced by the Rocky Mountains from an early age, he learned the ways of wildlife and the wilderness. 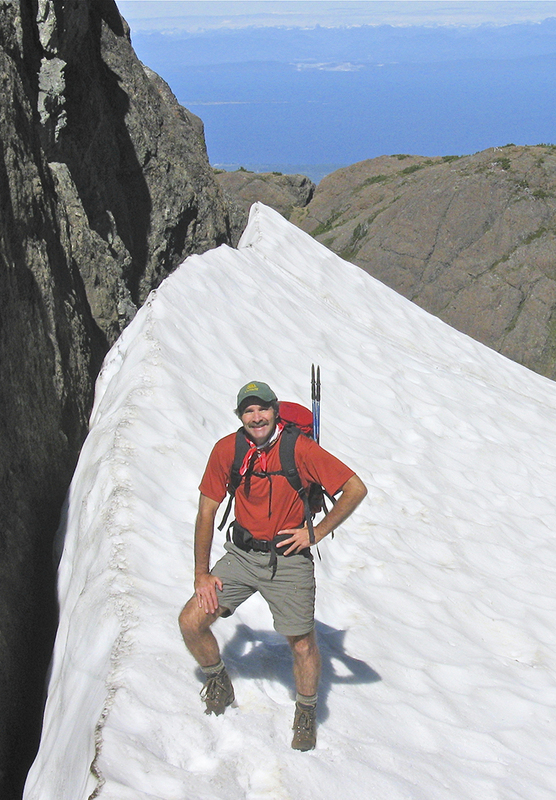 Rob’s early outdoor adventures led to a lifelong passion to protect the natural environment. 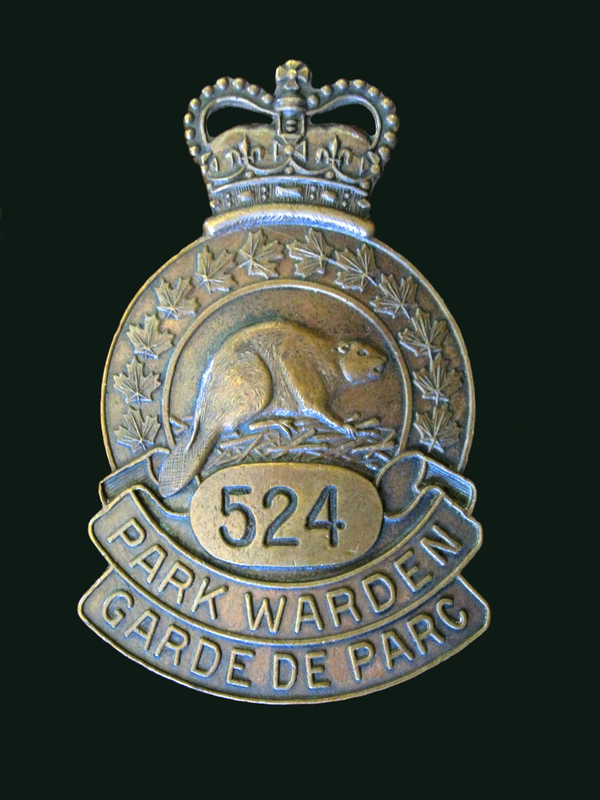 Rob worked with the Canadian Wildlife Service for three years before realizing his dream of becoming a park warden with Parks Canada. His 33-year career included one year as a park ranger in Australia. Rob specialized in backcountry management and resource conservation. He retired in 2010 and currently lives on Vancouver Island. Having worked as a National Park Warden myself for 35 years I can attest to authenticity of this book as it really does capture the feel of what its like to work in this challenging and rewarding field. Rob is a gifted writer, the book is real page turner and the stories of his and other wardens experiences are captivating. I really enjoyed this book ! I smiled a lot, chuckled and laughed (out loud), got goosebumps from fear and sadness, cried through the sad parts and even swore. (and now I feel like crying again. Go figure). I learned so much. So many of us are truly blessed to have seen the park as it was years ago. This book is such a great reminder and a fine read throughout. If you have ever been to, or longed for, the wilderness; you must read Rob Kaye’s Born to the Wild. Rob describes the life of a backcountry warden in a way that could only be written by a true nature lover. The joys and challenges of the solitary, demanding life become clear. The camaraderie of fellow travelers offers a glimpse into the sharing of magnificent scenery and life-threatening elements. Rob is very diplomatic when bravely addressing the major conflicts currently faced by Parks Canada fans. Politics vs science. Development vs conservation. An excellent read, treat yourself! To Rob-many thanks for jogging wonderful memories of Jasper National Park’s backcountry! Hi Rob, I really enjoyed your book, you are a wonderful writer. Your true love of animals and wilderness really shines through in your words. This book will stand as a fine testament to the historical management of our National Parks for a very long time – so that people don’t forget! It was always a real pleasure to work with you at Pocohontas! All my best to you. I finished reading your book “Born to the Wild” this afternoon. It was a wonderful book and I will recommend it to my friends as a must read. I lived in Jasper for a year in 1972 and have many great memories of that little town. Your book brought back many of those memories. Thank you for writing your book. On behalf of the Park Warden Alumni Society board of directors, we would like to congratulate Rob with the publication of his book. Having personally worked with Rob for nine year in Jasper National Park, I appreciate the thoughtful realism presented in his book. Most former wardens did not “grow up” in a National Park like Rob. He tells a life story of childhood adventures and personal insight into park wildlife from a very young and observant age. His unique writings tell of a warden service in transition from the “good old days” to it’s present dismantled state. Rob portrays a “lifestyle” in parks enjoyed and not forgotten by those who love the backcountry and wilderness areas of our National Parks. Well done Rob ! Congratulations Rob on a great job. We have indeed been lucky and privileged to work in these treasured places and I think we owe it to present and future generations to remind them of what our parks mean and can continue to mean to our children’s children, as long as we learn to manage these special places with a gentler hand. I think your book will go a long way to helping make that a reality. The book was great and enjoyed your adventures and misadventures as a youth. Your childhood was a great apprenticeship for your career. And what a career! I found your descriptions of your encounters with wolves, grizzly bears, moose, elk, etc. as if I was there with you. Being a wolf educator and advocate your encounters with wolves will add to my presentations. I also enjoyed your description of the failed relocation of the woodland bison into Jasper National Park. Amazing that animals have different agendas to ours. There are many themes running thru the book. One that resonates with me is the increased commercialism of JNP and other national parks. It was great for you to give us accounts of what the early park wardens experienced and yourself and your colleagues in an environment that was still very wild and untamed. I wish you continued success with the book. I’ve just spent the last few years exploring Jasper and Banff NP backcountry by horse and oh, you are so right about infrastructure falling into disrepair and trails becoming impassible. Often the NP service can’t provide info on the trails as they haven’t been out there; the longterm wardens with years of knowledge have left. It makes me sad, so I hope that your book helps shed light on what’s happening in our national parks. Have read this wonderful book and written a review of it for the newsletter of the Canadian Society of Environmental Biologists. The book is a real page-turner. 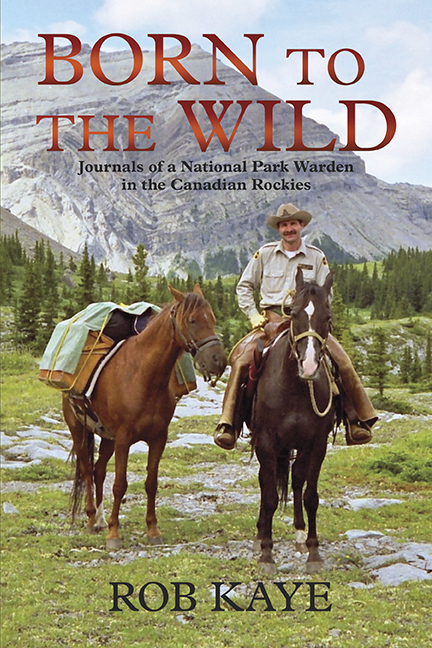 Rob’s early experiences with wildlife while growing up in Jasper are described, then the book focusses on his many experiences patrolling the boundary regions of the Jasper National Park wilderness as a park warden. One is introduced to the life of a warden, the dependence on horses (fascination creatures! ), the various animals encountered in the wilds (grizzlies, black bear, cougars, wolves, big horn sheep, elk), the frequent encounters with poachers seeking the big prize (a big horn sheep or a grizzly), and the day to day life of living in the backcountry for months at a time, in all seasons in the isolated warden cabins. Kaye’s stories are engrossing, if not terrifying at times – the backcountry is still quite wild, though some species populations are greatly diminished. Importantly, the book is a plea for greater protection of our mountain spaces and species. The concluding chapters describe the policy changes and horrific losses of personnel and resources in Parks Canada suffered under recent governments. This book should be of interest to all Canadians concerned about the very uncertain future of some national parks and the responsible agency, Parks Canada. This agency is responsible for the almost impossible task of balancing park recreation and tourism while preserving the ecological integrity of these former wild spaces. Thanks for this book, Rob! Your tales of childhood adventures made me laugh, your encounters with wildlife were magical, and your love of nature and of Jasper National Park is obvious. I will recommend your book to anyone who wants to understand the life of a warden, the history of the park, and the need for continued conservation. Congratulations on your first book Rob! I really hope you will continue to write. I liked how you captured the true essence of a ‘mountain man’ having grown-up in the Canadian Rockies, and eventually pursuing a career of dedication within Parks Canada. It was wonderful to read your descriptions of what it was like to grow up in Jasper along with the snippets of history! Of course the highlight was your sharing of your time in the Warden Service and all the gems of what that entailed of which very few people could imagine. I felt transported back in time and able to relive wonderful memories of my time in the Rockies. I was very sad to hear of the dilemma facing the parks and Warden Service today. I hope that your book conveys the message to all those who read it that this is a precious resource that needs protection now. I like the French term for the Warden Service: ‘Garde de Parc’. I know you wore that hat with your badge with true conviction. Brilliant book! I liked the stories in the book. It confirmed my want to become a conservation officer and/or be involved with parks and wildlife. I absolutely loved the book and hope that you keep on writing. I would suggest it to anyone who would want to be working in parks or with wildlife. Fantastically authentic and moving. Born and raised in Jasper myself, Rob Kaye’s book immediately took me back to my childhood and held me there. Highly recommended reading for anyone who has an appreciation for nature and wildernesses. Hi Rob: You have written a wonderful and descriptive book. “Born to the Wild”. I was born in Jasper so our growing up time was very similar especially with the bears, the town dump and Lodge dump. I owned Jasper Sports center during the tumultuous changing times that you so factually wrote about. If the book is not required reading for all University and Technical students considering going into this field of warden service or environmental sciences, I’m sure that it soon will be. Looking forward to reading more of your work.